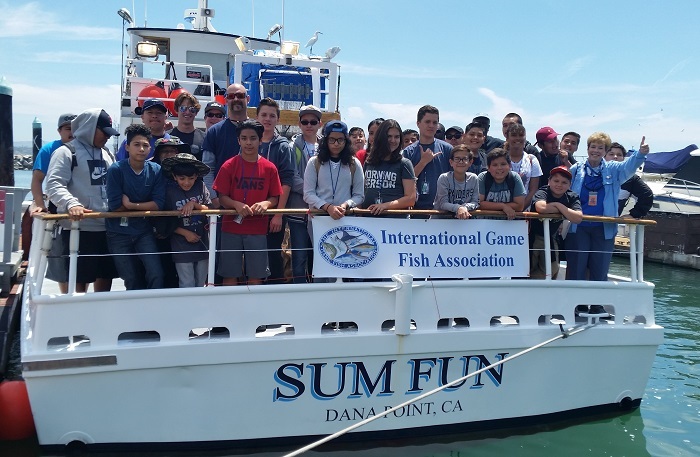 IGFA Trustee Bob Kurz and his wife Sally, an IGFA Representative, recently hosted 25 young anglers aboard the drift boat Sum Fun based out of Dana Wharf Sportfishing in Dana Point, California on May 6, 2018. 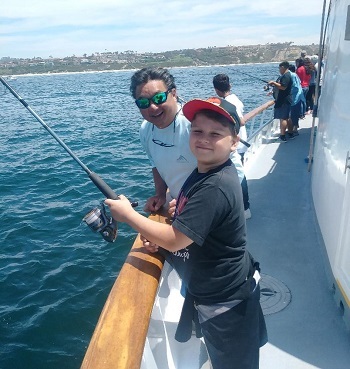 25 youth – ages 8 to 15 – from the Boys and Girls Club of Coachella Valley, Indio Clubhouse learned the basics of fishing with the help of volunteers from the Dana Angling Club and Laguna Niguel Billfish Club. 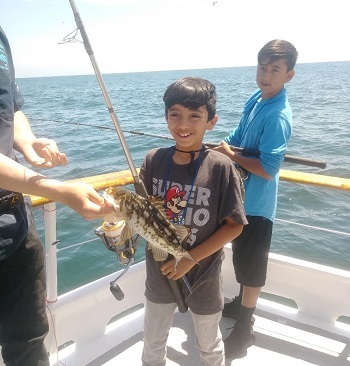 Once on the boat, the youth were taught how to properly handle their tackle, bait their hooks with live anchovies and cut squid, identify different fish species, measure their catch and how to properly handle and release their catches. For many of the new anglers this was their first time fishing in saltwater!